Cherchez . . . If you happen to be looking for a beautiful bowl carved from a precious gemstone . . .
Trouvez . . . find one of the world’s largest, rarest and most precious ruby bowls, at Henn, fourth generation gem merchants and jewellers, world-renowned for their masterful stone-carving, precious sculptures and objets d’art. 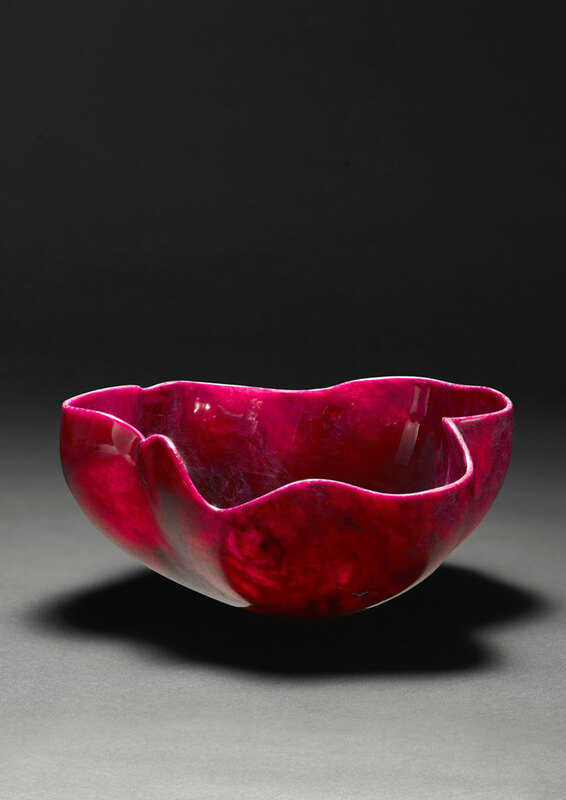 This ravishing ruby bowl has been hand-carved in a fluid, freeform contemporary shape. As always, Henn’s master sculptor has followed the natural form of the raw material, in this case a, exceptional rough ruby of 7,357.50 carats, discovered in Longido, Tanzania. 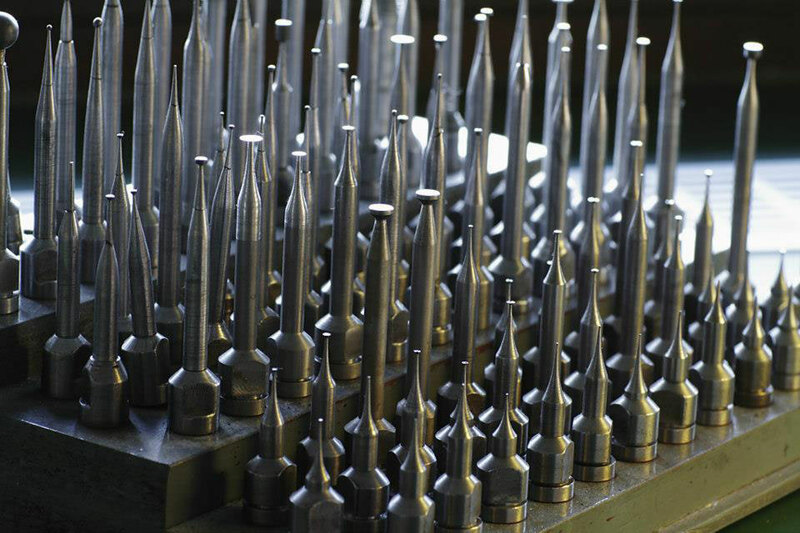 The Henn philosophy is always to preserve and enhance the natural beauty of the stone or mineral, often some of the finest specimens in the world today. The soft, sensual curves of this bowl, its asymmetry, the play of light and shade show the colour, light and personality of the ruby to perfection. In its shape too, you find a hint of the baroque, a characteristic of Henn sculptures that harks back to the sublime, carved stone precious objects that took pride of place in princely Renaissance WunderKammer. Henn is a long-established family business, a global gem trading house, run today by Hans-Jurgen Henn, goldsmith, mountaineer and intrepid gem-hunter, and his sons Axel, a trained stone-cutter, who evaluates rough material, and Ingo, goldsmith and designer-jeweller. Hans-Jurgen and Axel are based in Germany, in Idar-Oberstein, the celebrated stone-cutting and carving centre, while Ingo Henn operates Henn London, opened in Hatton Garden in the mid-1990s. Here Ingo Henn designs and makes his own, individualist jewels, set with imaginatively cut or carved coloured stones, and embellished with goldwork, engraving and enamels by the British enameller, Phil Barnes. The henn family is known not only for the superb quality and rarity of its gemstones, but also for its expertise in cutting, carving and sculpting gems and museum-quality minerals. Ingo Henn explains how he works closely with the skilled stone cutters and sculptors in Idar Oberstein, and then weaves his designs around the stone. “First, we have to look for a suitable rough stone. We need a certain size and colour. But once we find it, the stone always tells us what it wants to be.” Recently, he has created jewel around a Santa Maria aquamarine, carved by Aflred Zimmermn into a lion’s head, a 55carat Brazilian tourmaline, cut into a spiral form, and, as we spoke, he was working with a Brazilian morganite carved to depict two flamingos, their necks entwined, embracing. 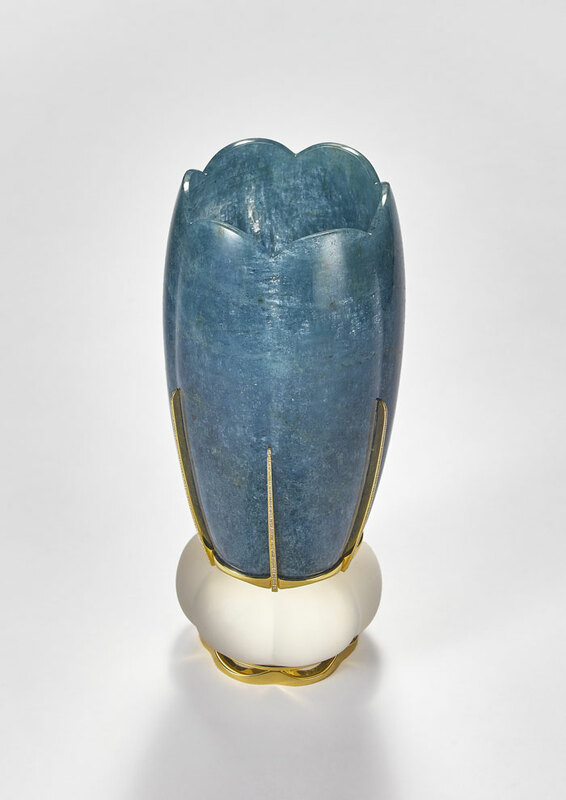 Henn taps into a long legacy of the art of stone carving, an art form that is being rediscovered by today’s informed collectors and connoisseurs. Stone carving, or the so-called glyptic arts are rooted in antiquity, in the earliest engraved seals and intaglios, and in the later Greek and Roman vessels carved from agates. Stone carving enjoyed a golden age in the Renaissance, with its revival of all things classical, and it was in the late 16th century that sumptuous objects and vessels, carafes and bowls, were elaborately crafted from carved rock crystal, set in gold, lavishly embellished, engraved and bejewelled. These were the objects treasured in the Kunstkammers of Europe. Then again, the art of stone carving was revived in pre-Revolutionary Russia, taken to new, fantastical levels of wit and artistry by the genius of Peter Carl Faberge, who was in turn influenced by the treasures of the greatest Kunstkammer, the Grunes Gewolbe in Dresden. Today, stone carving is once again appreciated for its combination of virtuoso hand-craftsmanship, wondrous age-old skills with artistry, imagination and the storytelling that is such a vital element of jewellery today. Ingo Henn says, “it is a theme, an art form that hasn’t been explored fully or shown for many years.